"Often, in complex litigation, my role is to make our client’s story understandable and attractive to our audience, whether that is the Court, a jury, an arbitrator, a mediator, or even the opposition in negotiations. My background includes a master’s degree in educational instruction, which is all about conveying information in way that resonates with your audience. That has been a resource I can use to accomplish that goal." Cheryl Kornick is an experienced trial and appellate lawyer helping clients with claims and disputes, primarily in the energy sector, including both upstream and midstream matters. She also is experienced in alternative dispute resolution, including AAA arbitrations and mediations. Cheryl regularly appears in Louisiana’s state and federal courts and before the Louisiana Supreme Court, often involving pipeline, royalty, land acquisition, joint operating agreements, and other complex claims and disputes. 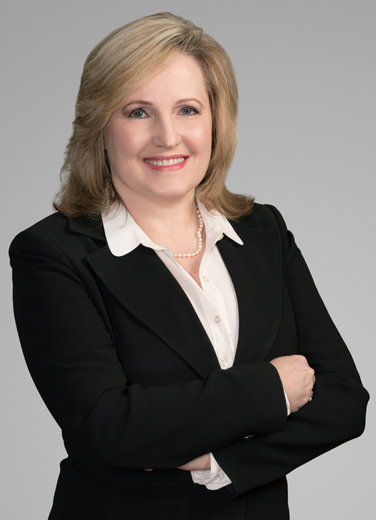 Working closely with the firm's tax lawyers, Cheryl regularly represents corporate taxpayers against the Louisiana Department of Revenue and local taxing authorities in matters before the Louisiana courts, Louisiana Tax Commission and Louisiana Board of Tax Appeals. She has taken many state and local tax disputes from trial to final disposition in the Courts of Appeal and the Louisiana Supreme Court. She recently successfully argued a major case before the Louisiana Supreme Court regarding a long-standing tax exemption for the ship building industry and Department of Revenue regulations for charging sales tax on major projects. In another complex, precedent-setting tax case before the Supreme Court, Cheryl was the litigation partner in Gisclair v Louisiana Tax Commission, 2009, a case involving how the state can tax utilities ultimately decided by the Louisiana Supreme Court. In addition, Cheryl is a frequent speaker and a noted authority on energy litigation issues. Her background in this area includes royalty and mineral lease issues, pipeline-related matters, energy marketing, contracts disputes, expropriation actions and oil well lien actions. She has continued the firm’s long history of special expertise in pipeline matters, including the handling of all land acquisition issues in major pipeline projects in Louisiana. She also has taken numerous expropriation matters from pre-suit negotiations to trials and appeals. Cheryl is chair of the firm’s technology committee and is highly experienced in the use of computerized litigation support. She was selected for the inaugural, 2005 New Orleans CityBusiness Leadership in Law Award. "Resolving the issue of tax treatment on a major corporate gain"
What happened: When our client sold a refinery downriver from New Orleans, it realized a huge gain on the sale. The question became: How would the gain be treated for tax purposes? Our approach: Our team argued and proved that the sale was part of the client's regular course of business nationwide. "Showing an unfair tax advantage"
What happened: In a politically-charged, front-page hotel development project in downtown New Orleans, the developers obtained a deal with the local taxing authority to divert Tax Increment Financing proceeds to the financing of the project rather than to payment of bonds for the Louisiana Superdome, an advantage not available to any other hotel in downtown New Orleans. Our approach: We convinced the Louisiana Supreme Court that the diversion created an unfair advantage in favor of the hotel project and that the specific TIF at issue was an improper use of public funds. "Obtaining the rights the client needs"
What happened: We negotiated for the right to cross the land, but the landowner was attempting to obtain millions of dollars in compensation, which was the only issue to go to trial. Our approach: We focused on telling the jury the facts about the value of the land, and the reasons that the pipeline would not inhibit the potential for future development on that land, in an understandable way. The result: After a three-day trial, the jury deliberated less than an hour and returned with a verdict of exactly the amount we suggested. Prevailed at a jury trial regarding the acquisition of land rights for a pipeline project; the landowners were seeking over $8 million in total, and the jury awarded under $250,000. Obtained a dismissal at the pleading stage of several suits against oil and gas companies alleging, among other things, fraud and RICO claims based on alleged failure to pay property taxes. Bonvillain v. Louisiana Land & Exploration et al., 43 Fed. Appx. 319 (5th Cir. 2011). Represented the taxpayer in the “test case” for application of the Louisiana flex fuel tax credit. Barfield v. Bolotte, 185 So. 3d 781 (La. App. 1 Cir. 2015). Represented Cimarex Energy Company against a claim by a lessor seeking profits from the financial trading activities Cimarex used to hedge against price fluctuations of its oil and gas production as royalties under the lease. The United States District Court for the Western District of Louisiana granted summary judgment in favor of Cimarex, and the United States Fifth Circuit Court of Appeals affirmed. Cimarex Energy Co. v. Chastant, 2012 U.S. Dist. LEXIS 180815 (W.D. La. Dec. 18, 2012), affirmed by 2013 U.S. App. LEXIS 16030 (5th Cir. Aug. 2, 2013). This decision is believed to be the first of its kind expressly recognizing that royalty owners have no claim on profits made from financial trading activities used to hedge against price fluctuations. Cheryl made her first appellate argument before the U.S. Fifth Circuit Court of Appeals while still in law school. 2015 Best Lawyers' Litigation and Controversy - Tax "Lawyer of the Year"
"For fun? I'm a big Saints fan. In fact, my husband is a sideline official at NFL games in the Superdome. I'm also a history buff."